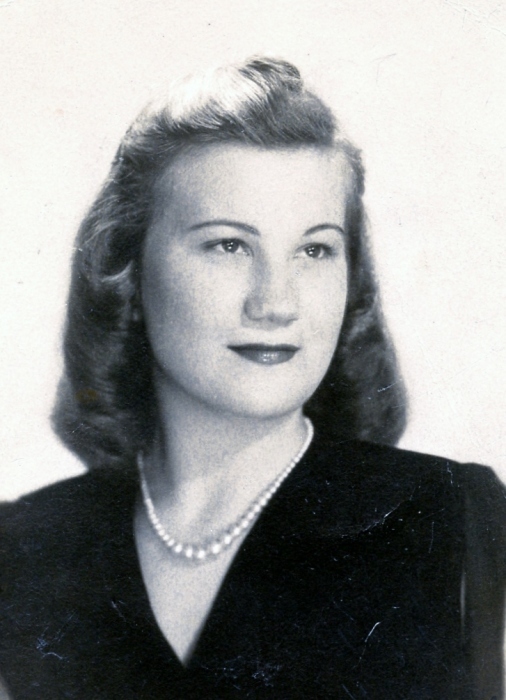 Ethelyn Gilbert Locklair, 93, widow of George Wesley Locklair, Jr. of Summerville, SC, passed away Friday, January 18, 2019 at Sandpiper Rehab & Nursing, Mount Pleasant, SC. Visitation will be held at Parks Funeral Home Wednesday, January 23, 2019 from 12 – 1 pm. Graveside Funeral Services will follow at Summerville Cemetery at 2 pm. Flowers will be accepted or memorials may be made to Bethany United Methodist Church, 118 West 3rd South St., Summerville, SC 29483. Ethelyn was born August 8, 1925 in McBee, SC, a daughter of the late William Rawlton Gilbert and the late Cora Northcutt Gilbert. She graduated in 1943 from Hartsville High School and was a homemaker. Ethelyn was a member of Bethany UMC and was a devoted and loving wife, mother and grandmother. Survivors include her two sons, George Wesley Locklair, III and Ray Stanley Locklair, both of Summerville; two daughters, Virginia Locklair Ross of James Island, Cindy Locklair Claxton of Newnan, GA; and four grandchildren, Jennifer Michelle Locklair of James Island, Ray Stanley Locklair, Jr. of Summerville, Caroline Virginia Claxton of Dublin, GA, Chappell Locklair Claxton of Newnan, GA.